Not only did Pedego Canada win distributor of the year at the recent Pedego Electric Bikes dealer meeting in Fountain Valley, California, but there were also a lot of exciting announcements about new colours and new products we can expect to see in 2018. 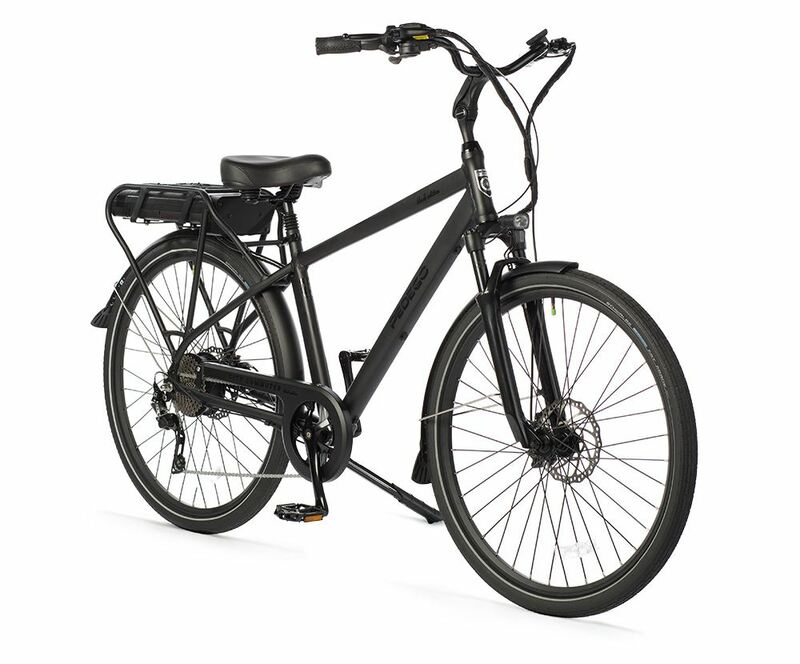 Other announcements at the event had to do with options available for popular Pedego models such as the City Commuter, which will be available in a high-end “black edition” (see top photo) as well as a mid-drive edition that features a 500 Watt Dapu mid-drive motor. The Trail Tracker will also be available in a modified version: called the “Gorilla Trail Tracker” it will feature a wide handlebar and larger seat. 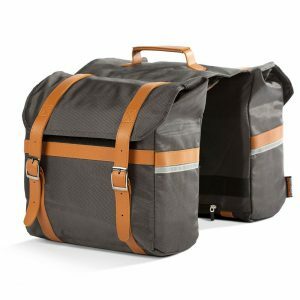 But perhaps the most exciting announcement was that Pedego will be releasing two entirely new models in the new year. 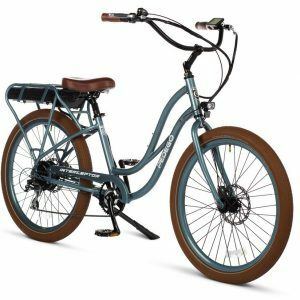 The first is called the Conveyor City Bike and it features a Brose 250 Watt mid-drive motor and a Gates CDX belt drive, which means no derailleur is required. 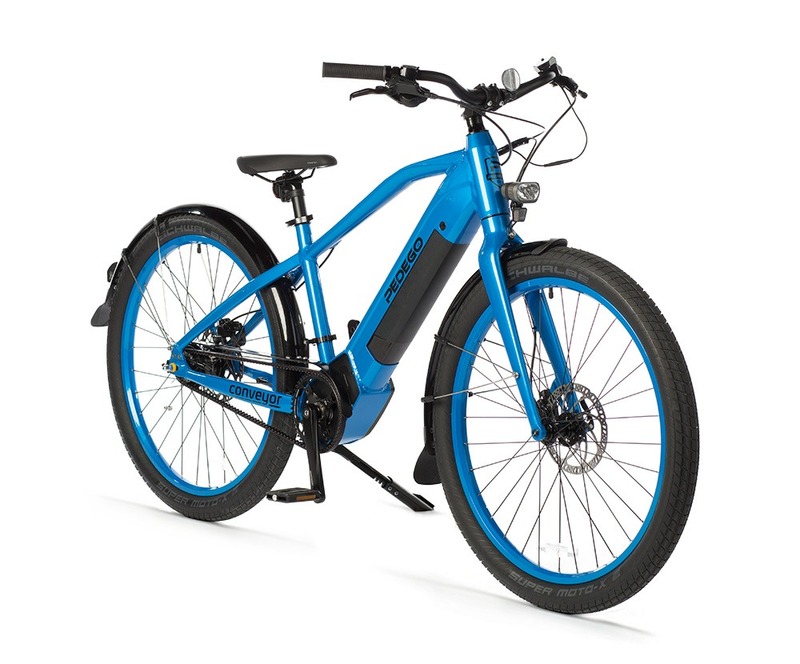 It’s sleek styling, power and range make it the perfect tool for around-town electric bikers. Other specifications include a Shimano 8-speed shifter, 27.5-inch rims, GPS connectivity, and three levels of pedal assist. We had a chance to ride this one at a recent event at Pedego headquarters and we have to say it’s absolutely beautiful to ride. The other completely new bike is one near-and-dear to our hearts here at Pedego Canada because it features a full-suspension frame. The staff here regularly ride singletrack trails in the mountains near our homes and having full suspension is a must if you don’t want a sore rear end after every ride. Pedego’s completely new Elevate full suspension bike will be the perfect tool for us to go explore. 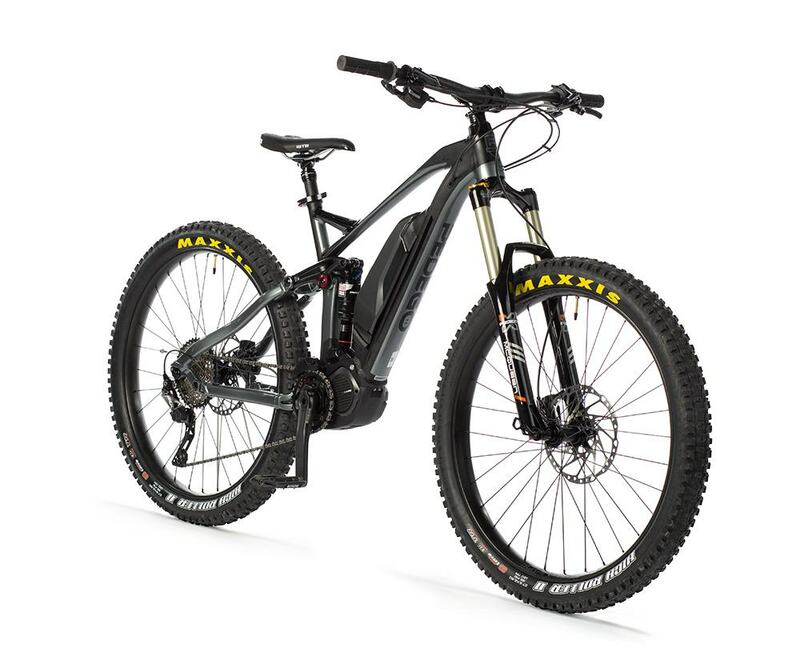 It has a mid-drive 250 watt Shimano E8000 motor, a 36 volt lithium ion battery, 27.5-inch rims, Race Face handlebars and platform pedals, a X-Fusion McQueen fork with 130 millimetres of travel and a RockShox Monarch RT3 shock on the frame. The disc brakes are Shimano SLX and the overall weight of the bike is 19 kilograms or 42 pounds. Frame size comes in medium and large. Of course, all of the new models and colours come with the standard two-year full warranty, one of the best warranties in the business. When we learn exactly when each of the above new offerings are ready, we will update this page and announce the dates via our social media channels. Contact us at info@pedegocanada.ca if you have any specific questions about these new electric bikes and colours.